A short but important backstory, Regium International is providing sales education and development with the aim to help create Peak Performers within sales and communication. Our belief and education stems from that we are all triggered or tripwired by different messages, simply because we all use our personal values with each and every purchase decisions. From a methodology in BANKCODE we use four different personalities to illustrate and categorize the difference between potential buyers. To get a basic understanding of your own buying decisions and personality and see the values of the personalities, click here. Heineken, the famous beer manufacturer that has had many successful and viral marketing campaigns might have more going on between the surface in how they balance their message to attract even more customers. With Heineken being a multinational company, with revenues in the tens of billions of dollars, it’s not possible to take in all of the ads, communications and involvements into considerations. Don’t take this information as a complete guide to their communication, but as an inspiration of how they use different messages to trigger emotions that align with the four groups of buyers. Maybe you will start to look at your own communication with new eyes, and pinpoint where you can improve to boost sales? At its core, it’s a dominantly Nurture weight towards their communication, probably also due to what seems like a genuine CSR involvement. The key word that they use frequently is respect. Whilst this may be sometimes considered more towards the Action attribute, it’s a subtle but important difference in that they show it, instead of demanding it. Looking towards their competitors, some are party focused and Action-oriented, other push for their long heritage (Blueprint) and some uses the craftsmanship and brewing technique (Knowledge) to get their message across. Most of the companies tick one or more of the personas with their message. Maybe biased by the usage of the products, they are usually also not afraid to put their Action side forward and paint the picture of the image you can achieve by using the product. Whom likes to be the centre of attention? The Action. They could definitely see themselves as the star of the grill. The Nurture tagline “Open your world” is still present, yet a bit smaller in this particular message. 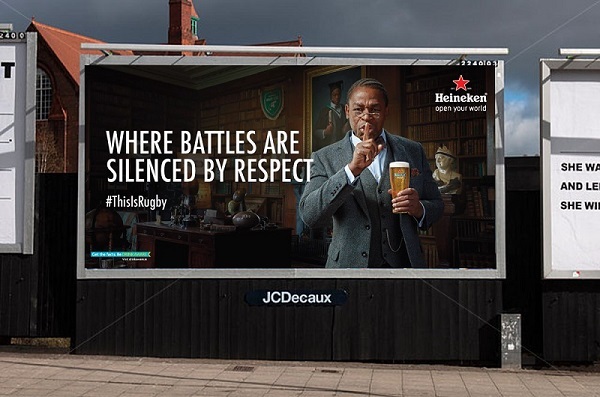 Heineken is also heavily invested in sponsoring sports events, where they show the messages such as “The drink for champions” strengthening their secondary Action part. Even if they often push for an Action targeted messages in their ads related to sports, a lot of their actual involvement isn’t in the big championships, but also in the grassroots situations as parts of their CSR involvement. Something that barely ever shows in their ads is Knowledge taglines of punchlines. Even if they don’t use it to their advantage, my view from browsing their ads is that they don’t turn off any Knowledge oriented customers by Tripwires. So they might not directly attract them, they are leaving them with a neutral feeling, and maybe even create some attraction from the customer’s secondary values. From the looks of other beer companies, Knowledge seems to be a lesser selling point. A difference is the niche breweries where they can attract loyal customers and fellow beer geeks from their in-depth knowledge of brewing the perfect beer. The most common value from competitors is Action/Blueprint. Words as “The best, Brewing since…”, are all very common. 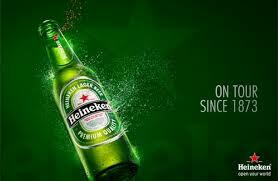 Something that Heineken uses to a lesser degree, is the talk of their heritage. Being almost 150 years in business is a solidifier towards Blueprints in that they are reputable, stable and basically have the correct history to know what they do. At their website, a large portion is dedicated to their history and road towards being what they are today. To wrap it up, their primary message is Nurture oriented, and secondarily Action. A small bit is targeted towards Blueprint and an even smaller, if even any, is for the Knowledge. As stated in the beginning, the format of this post is not meant to be the ever complete guide, but merely as inspiration. To become more educated, help more customers, finding a systematic way to handle communications or simply grow your sales, don’t hesitate to reach out. We take pride in offering solutions regardless of your industry or current skills.